Looking for an extremely affordable media player that can hook up to HD and older televisions? Why not consider the Raspberry Pi. For those that don’t know, this is a small computer board meant for teaching people more about programming, hacking and other similar endeavors. It is a mini-computer that has an all-in-one design with no case. Most importantly, it is only $35. Out of the box, there is no operating system but it is easy enough to make it into a true media player. How do you do it? 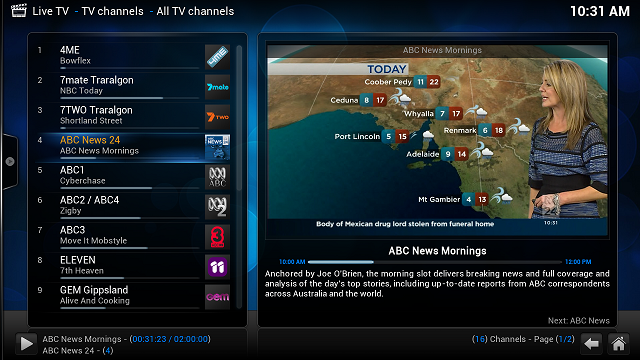 XBMC, that’s how. XBMC is one of the best media playing suites around and has recently released a new version in celebration of its 10th anniversary. The update has now added official support for Raspberry Pi. The device is small, makes no noise and is cheap. Sure, you need to have a little DIY knowledge, but considering even the most budget-priced players cost around $80-$120, this is a good deal. Any restrictions? For a $35 board, you can’t expect the world. That being said, it works quite well. Since the processor in the Raspberry Pi is only a single-core ARM, the menu navigation can be a little sluggish but the actual playback works great. Best of all, it is fully capable of video up to 1080p. You can also easily connect external devices or use a HC-SD card for your media needs. Ethernet also exists for sharing media, or you can always add on a compatible wireless card for streaming. The Raspberry Pi is available now, but due to high-demand generally takes at least a few weeks in order to get it delivered. Are their faster solutions that have additional apps and options? Sure, but they will cost at least 3x the price of this. For those looking for a secondary media player, this could be perfect.